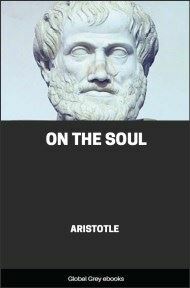 Metaphysics is one of the principal works of Aristotle and the first major work of the branch of philosophy with the same name. 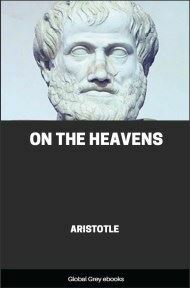 It is considered to be one of the greatest philosophical works and its influence on the Greeks, the Muslim philosophers, the scholastic philosophers and even writers such as Dante, was immense. 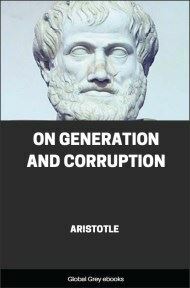 It is essentially a reconciliation of Plato's theory of Forms that Aristotle acquired at the Academy in Athens, with the view of the world given by common sense and the observations of the natural sciences. The animals other than man live by appearances and memories, and have but little of connected experience; but the human race lives also by art and reasonings. Now from memory experience is produced in men; for the several memories of the same thing produce finally the capacity for a single experience. And experience seems pretty much like science and art, but really science and art come to men through experience; for ‘experience made art’, as Polus says, ‘but inexperience luck.’ Now art arises when from many notions gained by experience one universal judgement about a class of objects is produced. 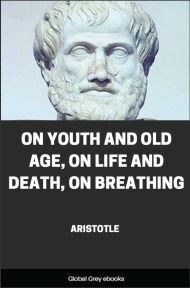 For to have a judgement that when Callias was ill of this disease this did him good, and similarly in the case of Socrates and in many individual cases, is a matter of experience; but to judge that it has done good to all persons of a certain constitution, marked off in one class, when they were ill of this disease, e.g. to phlegmatic or bilious people when burning with fevers-this is a matter of art. With a view to action experience seems in no respect inferior to art, and men of experience succeed even better than those who have theory without experience. (The reason is that experience is knowledge of individuals, art of universals, and actions and productions are all concerned with the individual; for the physician does not cure man, except in an incidental way, but Callias or Socrates or some other called by some such individual name, who happens to be a man. If, then, a man has the theory without the experience, and recognizes the universal but does not know the individual included in this, he will often fail to cure; for it is the individual that is to be cured.) But yet we think that knowledge and understanding belong to art rather than to experience, and we suppose artists to be wiser than men of experience (which implies that Wisdom depends in all cases rather on knowledge); and this because the former know the cause, but the latter do not. For men of experience know that the thing is so, but do not know why, while the others know the ‘why’ and the cause. Hence we think also that the masterworkers in each craft are more honourable and know in a truer sense and are wiser than the manual workers, because they know the causes of the things that are done (we think the manual workers are like certain lifeless things which act indeed, but act without knowing what they do, as fire burns,-but while the lifeless things perform each of their functions by a natural tendency, the labourers perform them through habit); thus we view them as being wiser not in virtue of being able to act, but of having the theory for themselves and knowing the causes. And in general it is a sign of the man who knows and of the man who does not know, that the former can teach, and therefore we think art more truly knowledge than experience is; for artists can teach, and men of mere experience cannot. Again, we do not regard any of the senses as Wisdom; yet surely these give the most authoritative knowledge of particulars. But they do not tell us the ‘why’ of anything-e.g. why fire is hot; they only say that it is hot.